Where do I start with my teenage child with Aspergers and sexuality? The subjects of puberty, relationships, and sexuality are major sources of anxiety for teenagers with Asperger’s. Sexuality is often a tough subject for parents to negotiate, as well. Parents often take a neutral position with these topics, hoping their children learn about relationships by example and that the heavier, difficult topics are taught in school health class. While this approach does not always end poorly, it is a recipe for disaster when Asperger’s Syndrome is involved. Teaching your teen with Asperger’s sexuality and puberty information is crucial. This is not information you want him to learn from his classmates, or worse, by doing his own Internet searches. Parents of children with Asperger’s should start with the very basics of sexuality, and move on to dating and relationships, since the social ability of an individual is so intertwined with their sexuality. 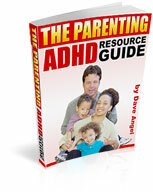 There are many resources available to parents of teens with Asperger’s. Sexuality can be discussed by parent and child, using great books and videos that have been published by experts in the field of Autism. “Autism-Asperger’s & Sexuality: Puberty and Beyond,” by Jerry and Mary Newport; foreward by Teresa Bolick, is a book that takes a personal look at the challenges Asperger’s Syndrome creates on the sexuality of the individual. The authors are a married couple who both have Asperger’s. Here are a few things to remember when teaching your child with Asperger’s sexuality, puberty, and relationship information. * Be frank and straightforward. Speak using easy to understand descriptions and correct terminology. * Use visual aids, like the above mentioned books and videos to engage your teen in the conversations. * Make sure the information you are sharing is age-appropriate. For example, you would be less detailed for a ten year old than you would for a fifteen year old. * Repetition is necessary when teaching children with Asperger’s. Short sessions repeated over time will work best on any subject. Do not hesitate to enlist professional help for your teen with Asperger‘s. Sexuality can be a stressful, anxiety filled topic. Your child’s doctor and/or psychologist can help you if your have difficulty. With the right resources and professional assistance, if necessary, you can successfully prepare your teen with Asperger’s Syndrome for adult relationships. Thank you for posting this. I wish I had read it a week ago. My son is 13, and last week we caught him experimenting with his 4 year old brother, and now he faces “Aggravated Sexual Assault charges” because of the laws in our state. Please can you advise what book I can buy to give to my 11 year old to read to start explaining all the changes in his body etc, and also prepare him for sexuality?